Salads can be a bit of a bore and a chore for me. I’ve racked my brains for ways to lessen the chopping, dicing, slicing and whatever -ing you can think of. 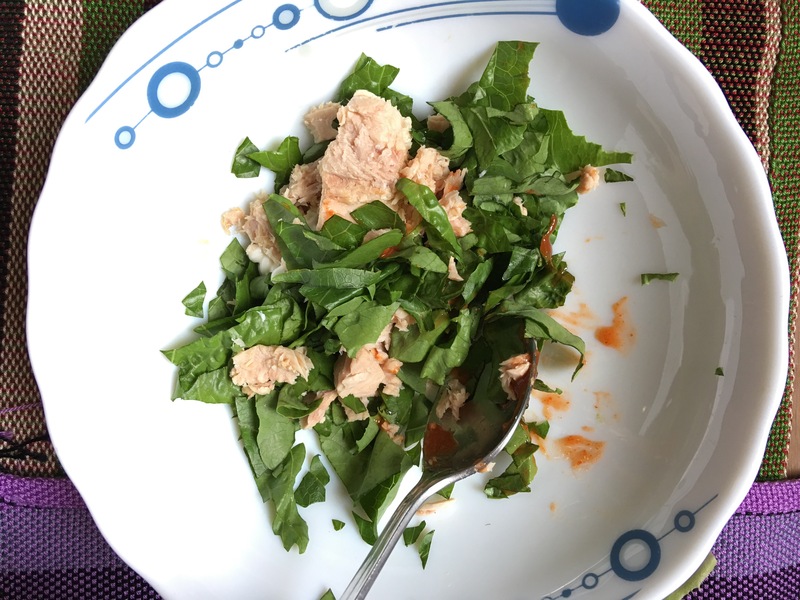 This salad takes the least time of preparation as it only requires two ingredients, aside from the dressing. Fits a lazy person like me! 2. 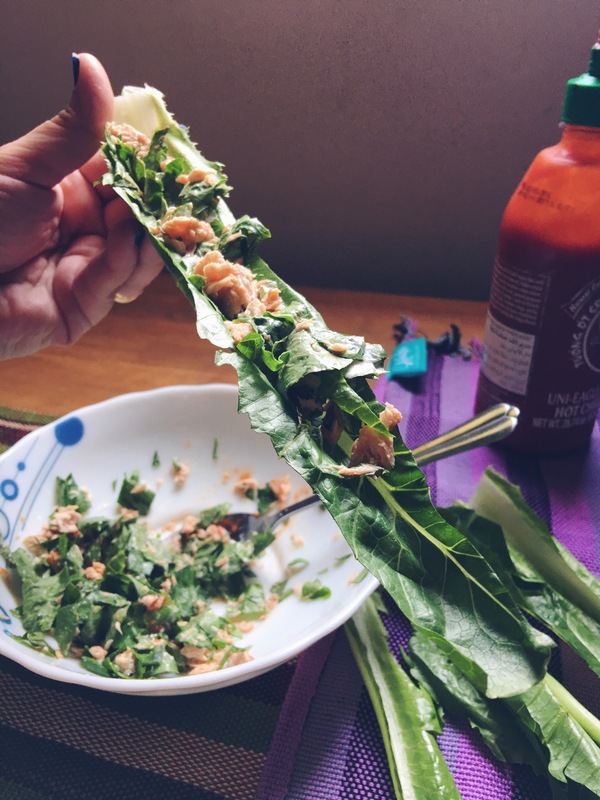 Cut the the thinnest part of the leaves, chopped them up and set aside . This will be mixed with the tuna later. 3. 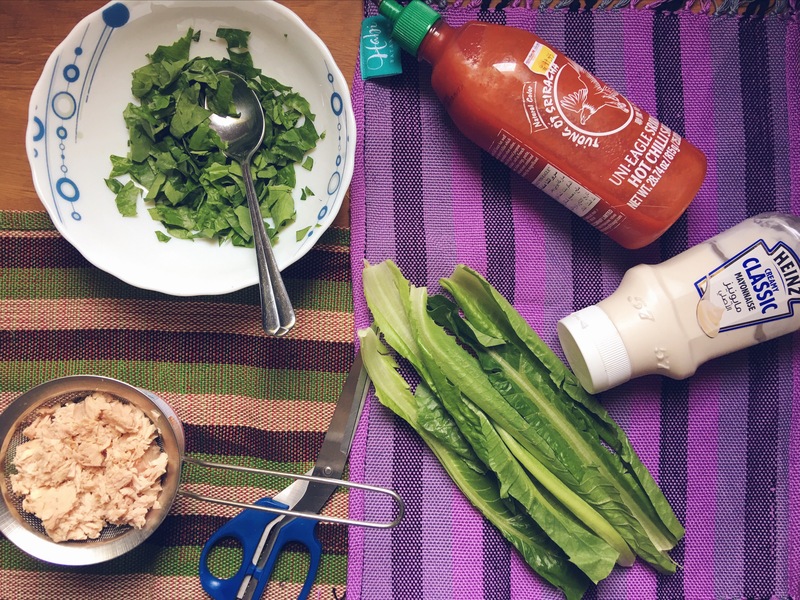 Mix the drained tuna, mayonnaise, sriracha and chopped leaves. Add salt and pepper as desired. 4. 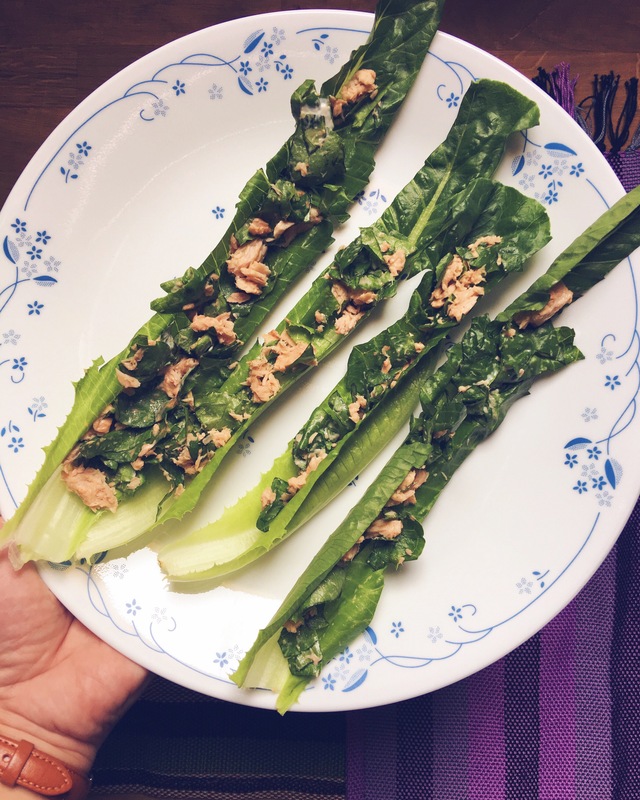 Lay out the mixed tuna on to the lettuce sticks.